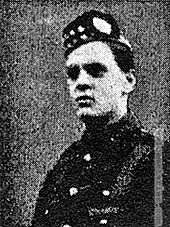 7th May 1915, aged 19. Son of William and Bridget Adams, of London, England. 47th Bn. Australian Infantry, A. I. F.
26th April 1917, aged 23. Son of William Henry and Mary Ann Adcock, of Herberton, Queensland. 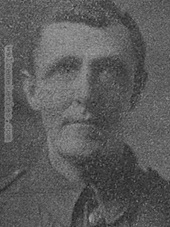 His enlistment into the First AIF took place on March 8, 1916, at Herberton. Son of William and Frances Allen, of Milton Cottage, Manorbier, Pembrokeshire. 11th May 1915, aged 23. Son of James and Olive Anderson, of 28, Clarinda Park East, Kingstown, Co. Dublin. 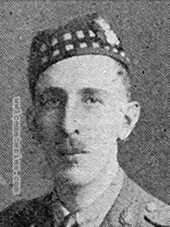 3rd February 1915, aged 38. 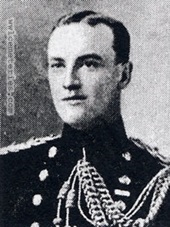 ​Son of General W. Bannerman, C. B., and Mrs. Bannerman, of Cheltenham. 239th Coy. Machine Gun Corps. 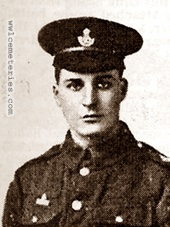 9th November 1917, aged 22. Son of David and Susannah Bastow, of 110, New Hall St., Burnley. "I'm sorry there is very little I can tell you about Pte. David Bastow. He was wounded on the 7th I believe, and admitted to hospital on the 8th in a dying condition. He was badly wounded in the jaw, legs and hands, and only lived a few hours after admission. Everything possible was done for him and he had every care and attention, but his injuries were so serious and his condition so critical that from the first we had little hope of his recovery. I am so sorry we could not save him for you but we tried to make his last hours as peaceful as possible." Prior to enlisting, David was employed as a weaver by Lee's Brothers of Elm Street, Burnley. 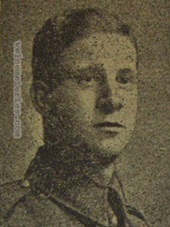 His brother, Fred, was also killed in the war, his body was not identified after the war and he is commemorated on the Tyne Cot Memorial in Belgium. 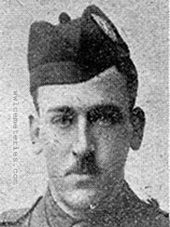 3rd May 1915, aged 29. Son of Albert L. and Essie Beyfus, of 3, Park Place Villas, Maida Hill, London. Artist in black and white. 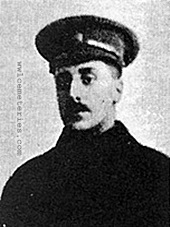 24th May 1915, aged 21. Son of James and Christina Bookless, of "The Rigg," Abertarff Rd., Inverness. 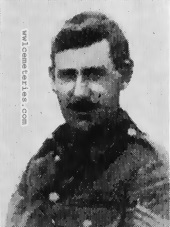 13th January 1915, aged 42. 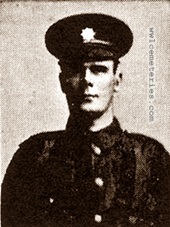 Rifleman James Boyd 1st Bn. Royal Irish Rifles of 22 Douglas Street Belfast, died of wounds on January 13 in No. 6 Clearing hospital France. His son, my Grandfather David Boyd joined the cause to avenge his death and got shot in his eye for his efforts. 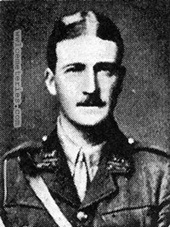 11th June 1915, aged 36. Son of John and Sarah Breach, of Lowestoft; husband of Agnes Maud Breach, of 7, Kitchener Rd., Ipswich. 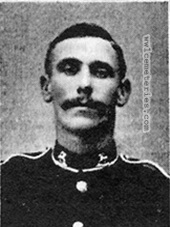 Served in the South African Campaign. 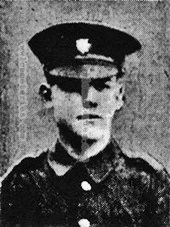 4th January 1915, aged 17. 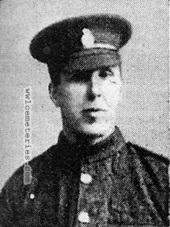 Son of Alice Ann Brown, of 103, Curzon Street, Burnley, Lancs. 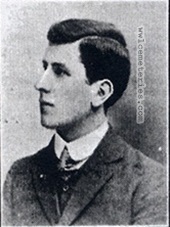 20th March 1915, aged 23. Son of Lewis and Maria Burini, of Scorton, Darlington. Native of Malton, Yorks. 15th November 1914, aged 28. 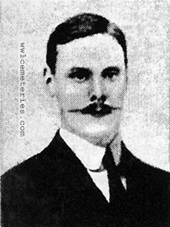 Son of Thomas and Mary A. Cameron, of Pallington, Dorchester. Native of Moreton, Dorset. Son of James and Margaret Carney, of 8, Frederick St., Cheetham, Manchester. 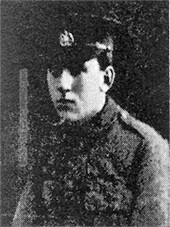 11th May 1915, aged 18. Son of Frank and Annie Champion, of 36, Portnall Rd., Harrow Rd., London. Son of Robert and Violette Cheyne, of 11, Denham Green Place, Trinity, Edinburgh. 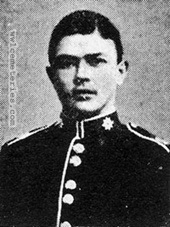 24th October 1914, aged 25. 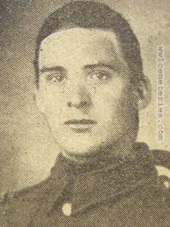 Son of Adele Hobson (formerly Costin), of Tan-Y-bryn, Bangor, Carnarvonshire, and the late John Duffus Costin, of New South Wales. 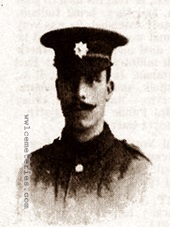 10th November 1914, aged 22. Son of William Clark Couper and Harriet Couper, of 36, St. Mary's Rd., Watford, Herts. Born at West Kensington, London. 14th May 1915, aged 33. 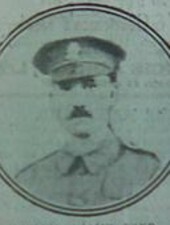 Husband of Annie Cronshaw, of 51, North St., Burnley. 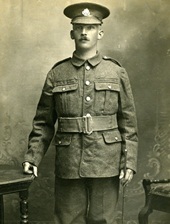 Ralph was a reservist who re-enlisted in his former regiment at the outbreak of war. He was wounded in the back and managed to send his wife and daughter a postcard from the hospital. It later transpired that he was badly injured and dangerously ill and that the doctors were anxious about him. Sadly he succumbed to his wounds. 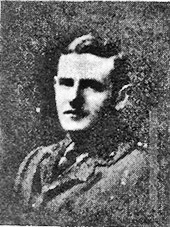 29th October 1917, aged 27. Son of Fuller and Mary Ann Goss, of Wormley, Herts; husband of Fanny Julia Smith (formerly Cross), of High Road, Wormley, Herts.